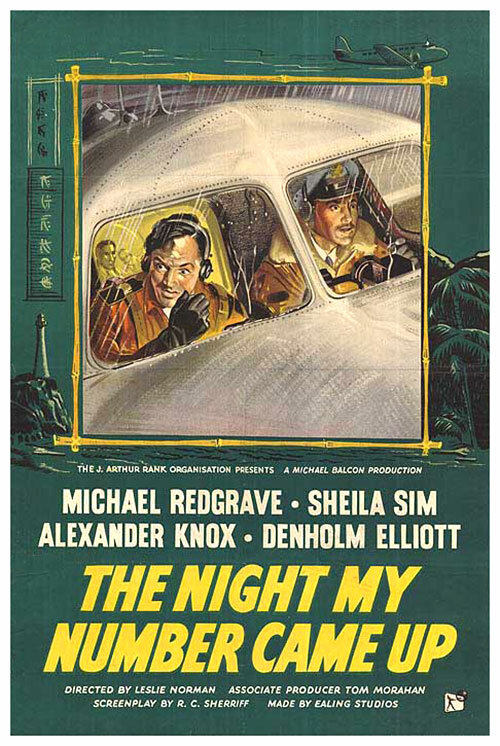 At a fashionable dinner party in Hong Kong a naval officer is coaxed into revealing details of a dream in which eight persons take off from Bangkok in a Dakota bound for Tokyo and crash in the Japanese mountains. Amongst those listening is Air Marshal Hardie who is due to fly to Tokyo the next day. Hardie initially dismisses the dream because he is scheduled to fly out in a Liberator, but as Hardie arrives at the airport he discovers that the Liberator has developed mechanical problems and has been replaced by a Dakota. When, just before the flight is due to depart, two soldiers board the plane making a complement of eight, Hardie fears that the Dream may be coming true and he is destined to die. 0 Response to "The Night My Number Came Up (1955) Leslie Norman"